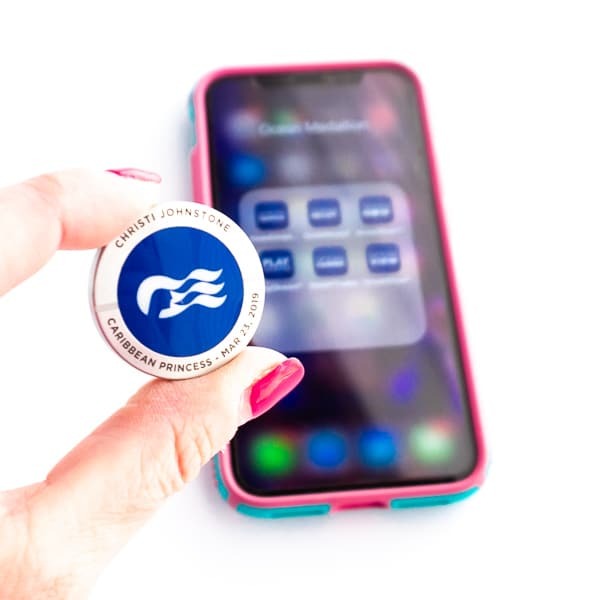 This past month not only did I have the pleasure of going on a Caribbean cruise with Princess Cruises, but I got to cruise with OceanMedallion. It was such an amazing experience. Let me tell you, the turquoise blue waters of the Caribbean were beyond breathtaking! If you’ve been dreaming of tropical islands, fruity drinks and sand between your toes, you are in the right place! 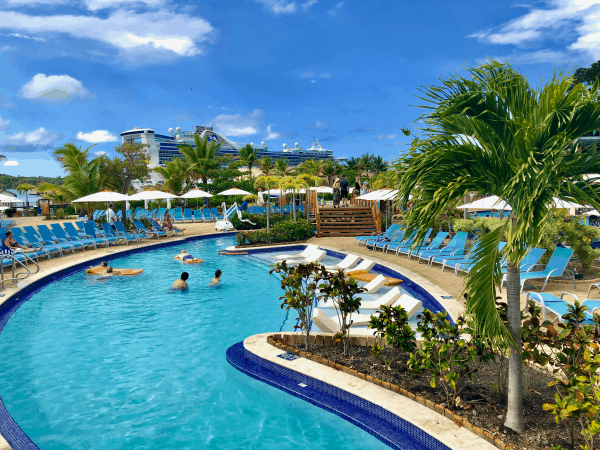 Thank you to Princess Cruises for bringing me along on this amazing Caribbean cruise and for sponsoring this blog post. If you are asking yourself what is OceanMedallion, don’t worry, I’ve got you covered. It’s new, it’s amazing and it has taken cruising to a whole new level. 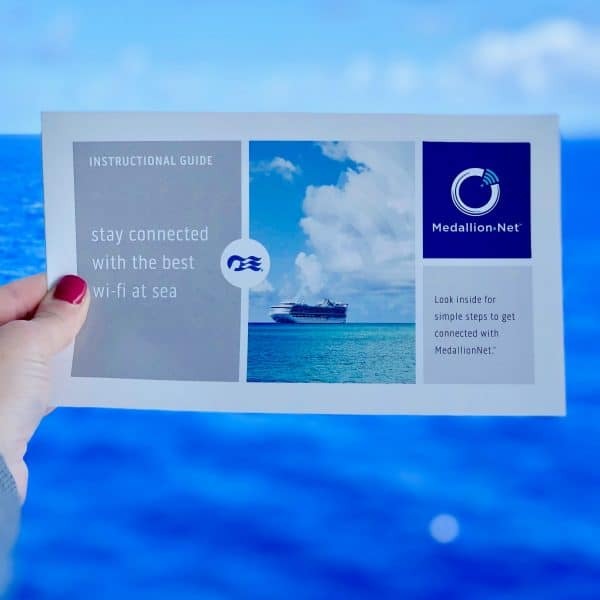 Cruising with OceanMedallion really is state of the art experience. 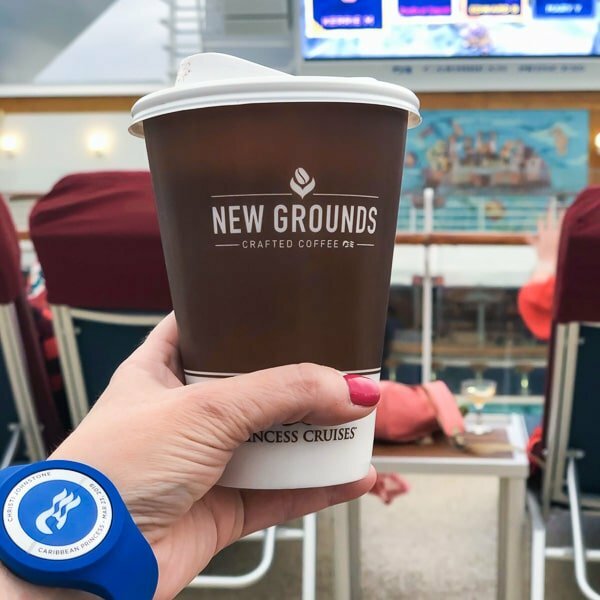 Using OceanMedallion on the Caribbean Princess completely changed the cruise experience for me. It’s so comprehensive that it has an impact your cruise from the time you start planning all the way through debarkation. 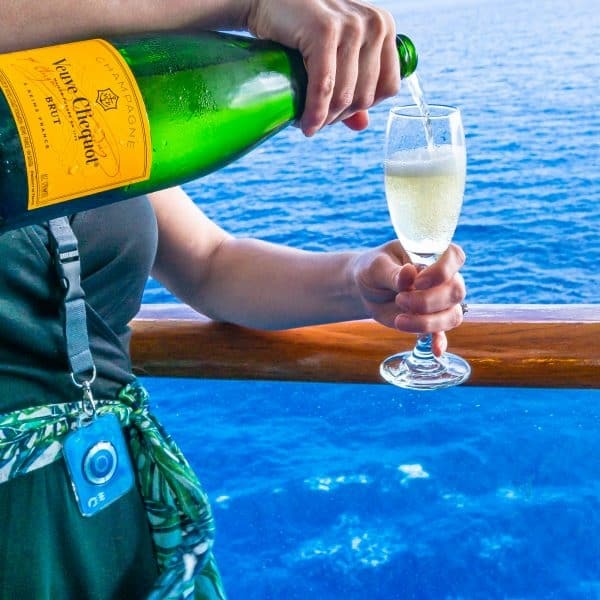 It’s kind of like your cruise BFF that has your back the entire trip. I’ll admit it, I am a creature of habit. It’s safe to say that I’m not always the first person to embrace any sort of change. When I like something, I like it to stay how it is. I thrive on consistency. Given that, I was a little hesitant before my cruise. Things were great on my last cruise, so why change anything? Even I can admit that sometimes change is good. Very good. Basically I’m going to need OceanMedallion on all my cruises from here on out. Yes, I said need. 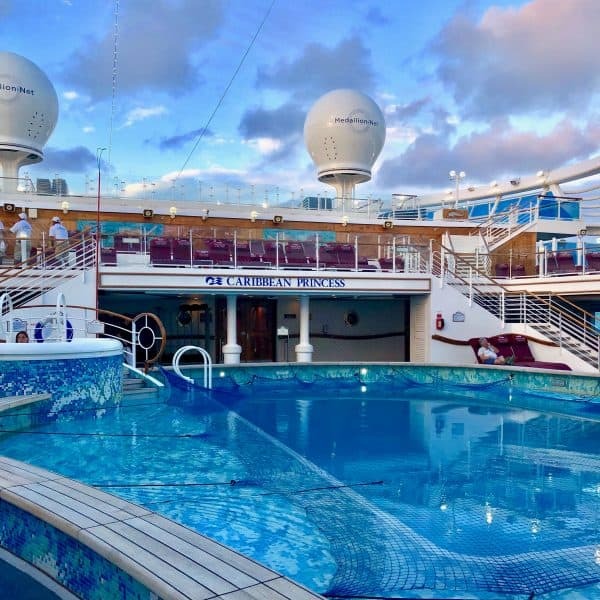 Don’t get me wrong, I loved cruising before – my Alaskan cruise was a once in a lifetime experience. That said, after a MedallionClass Caribbean cruise, I can’t imagine cruising any other way now. As a matter of fact, I should probably cruise Alaska again, this time with OceanMedallion. Just for good measure. 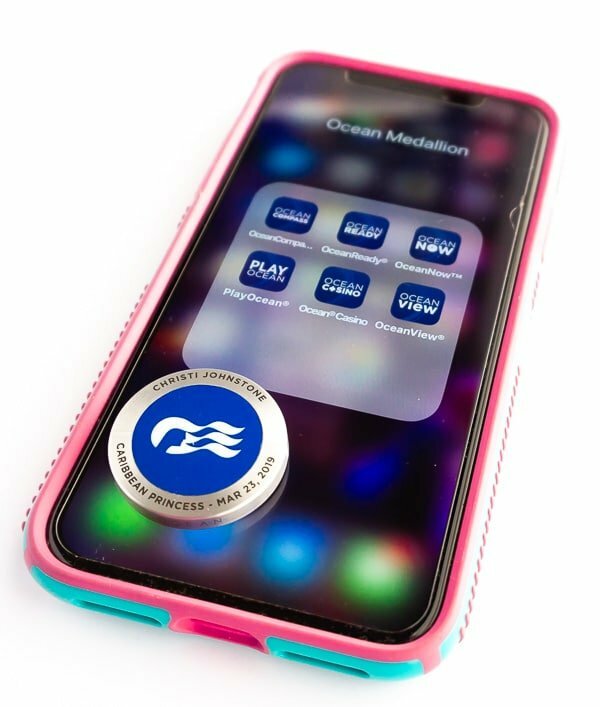 Because OceanMedallion is so comprehensive, I’m going to do my best to not only break it down, but share how each piece of the puzzle can enhance your cruising experience. I made sure to take some photos and videos so you can really get an idea of what I’m talking about. Are you ready? 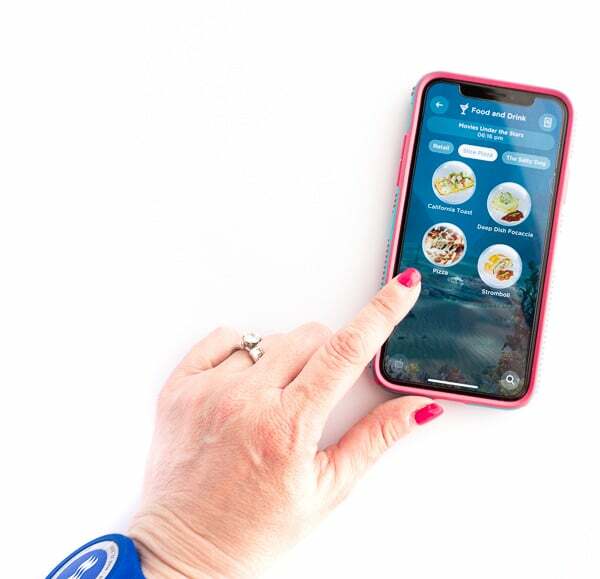 Grab a snack and a drink (both which would be ridiculously easy if you had OceanMedallion right now!) and let’s begin! It all begins with a medallion! 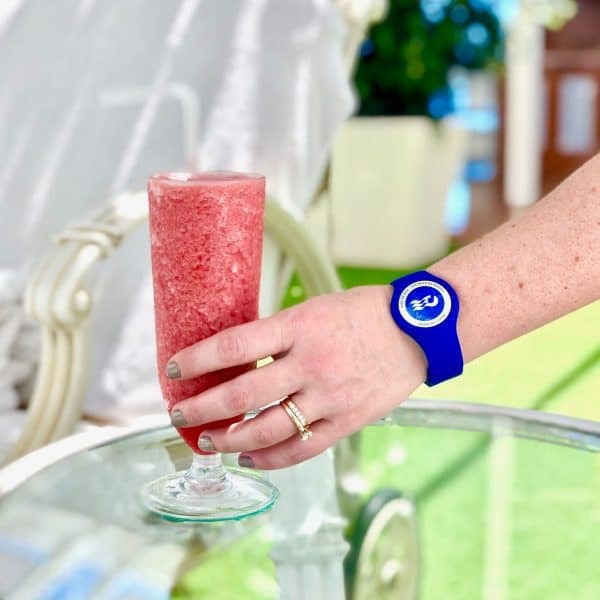 Let’s start with what could be considered the heart of the OceanMedallion experience – the physical OceanMedallion itself. After my cruise was booked and I set up my cruise personalizer, my OceanMedallion arrived at my home. 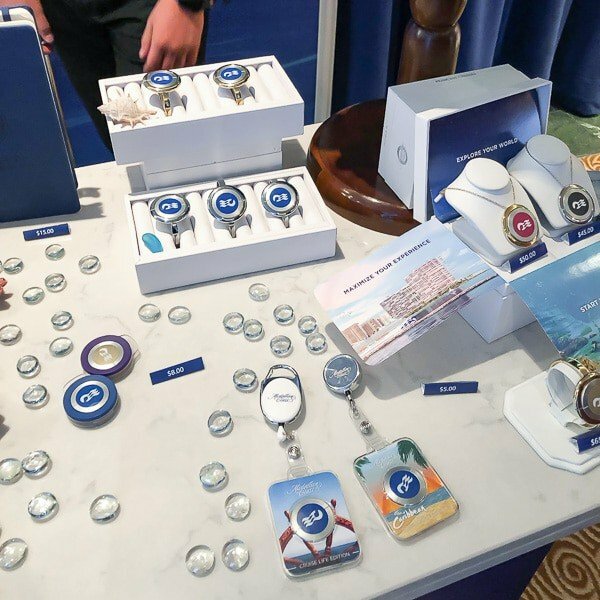 The OceanMedallion, a wearable device, is included in the cruise package for all guests. It is about the size of a quarter and you wear it during your voyage. 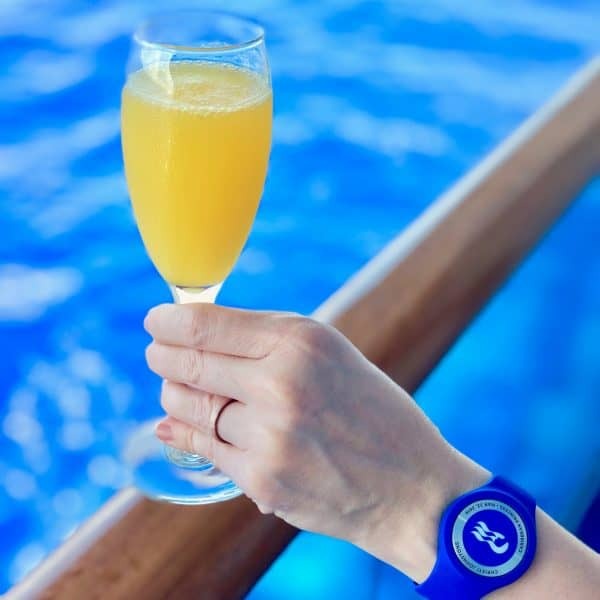 Your OceanMedallion is made specifically for you, and will be with you throughout your cruise journey. As you can see my medallion has my name and Caribbean cruise on it. It’s easy to wear, and there are a variety of different ways that you can wear it. I started by wearing mine in a lanyard. Once on the ship, I picked up a few different accessories to wear my medallion with. I used a wristband and a clip with my OceanMedallion. I had friends who wore their medallion in necklaces and bracelets. 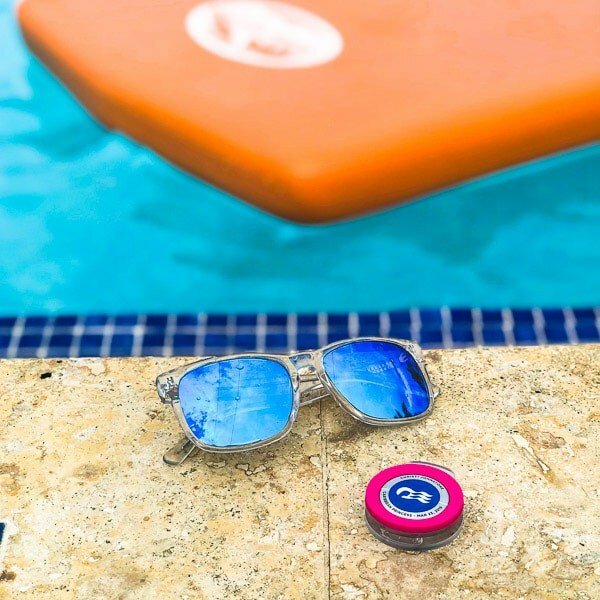 Your OceanMedallion does not need to be charged, and it waterproof. 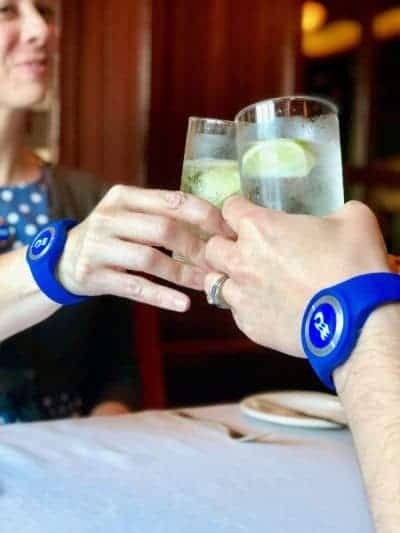 I found mine very easy to wear, and I’m sure I’ll add to my accessory collection on my next cruise. As I mentioned previously, I set up my cruise personalizer prior to my trip. I used the OceanReady app to prepare for my trip. OceanReady allows you to upload your travel documents, such as your passport, flight info, a security photo, things like that. The great part about doing this is that it makes embarkation a breeze. 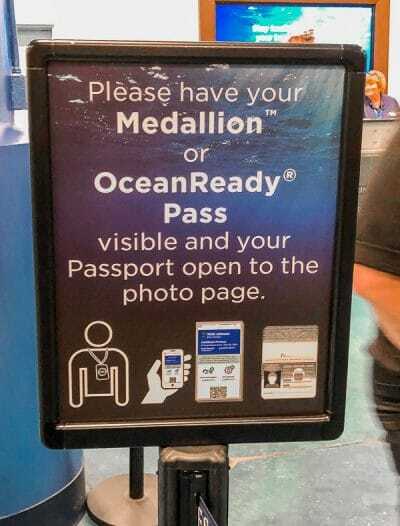 Using OceanMedallion crew members can pull up your travel documents and security photo, to help get you checked in. 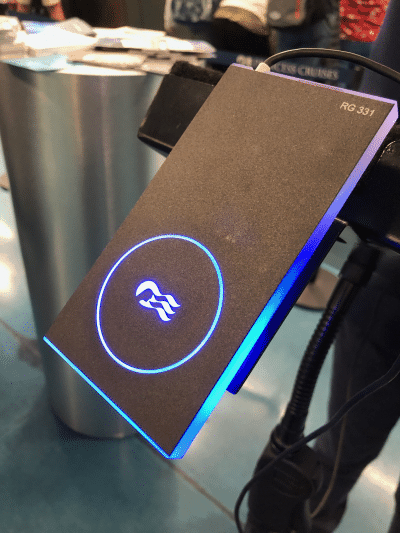 We found that OceanMedallion really expedited the check in process. It was amazing how quickly and easily I was checked in and boarding the Caribbean Princess. 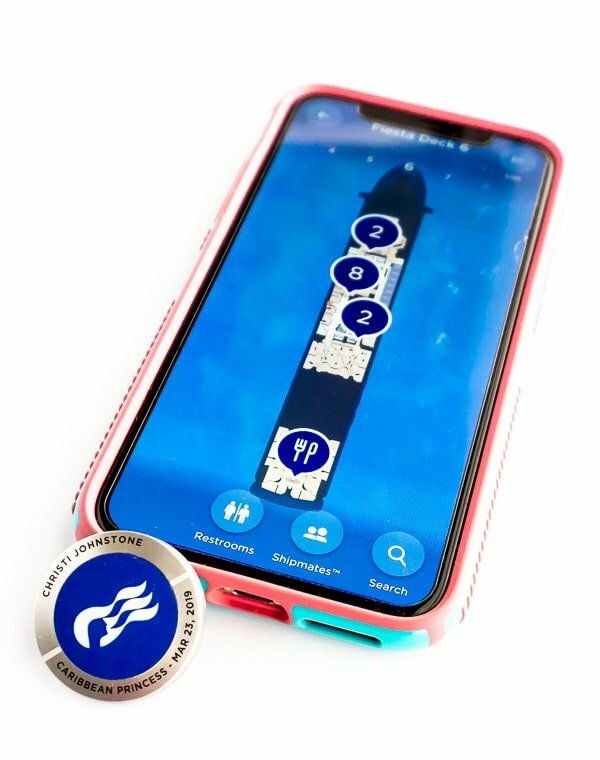 When you head to your stateroom to drop off your bags, you will experience one of my favorite things about OceanMedallion. 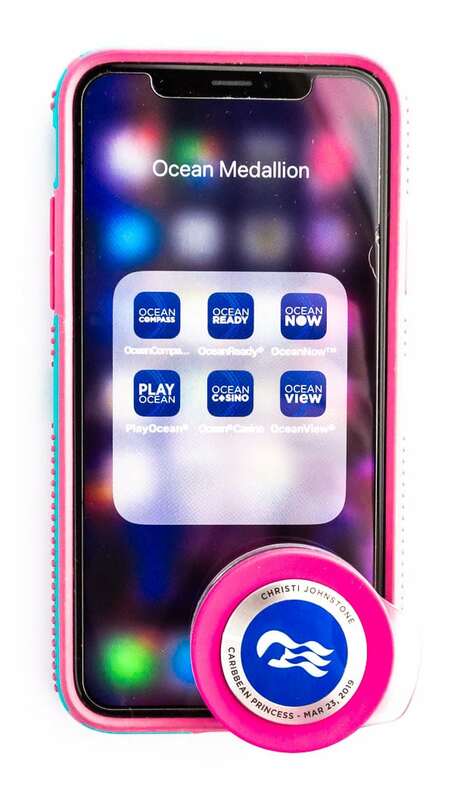 As you approach your room, your OceanMedallion is recognized and your door unlocks. No key card needed! As someone who is notorious for losing keys, I LOVE the keyless entry aspect of OceanMedallion. I’ve already introduced you to OceanReady, now it’s time to meet some of the other apps that work with OceanMedallion. Since we just boarded the ship, it might be good to find our way around. OceanCompass is the app for that. OceanCompass is like your personal navigator. It’s SO cool and really useful. You have access to OceanCompass on your smart phone or tablet through the app, and on portals around the ship. Check it out! Want to find the nearest restaurant? What about a gift shop? Maybe you want to check out the fitness center? 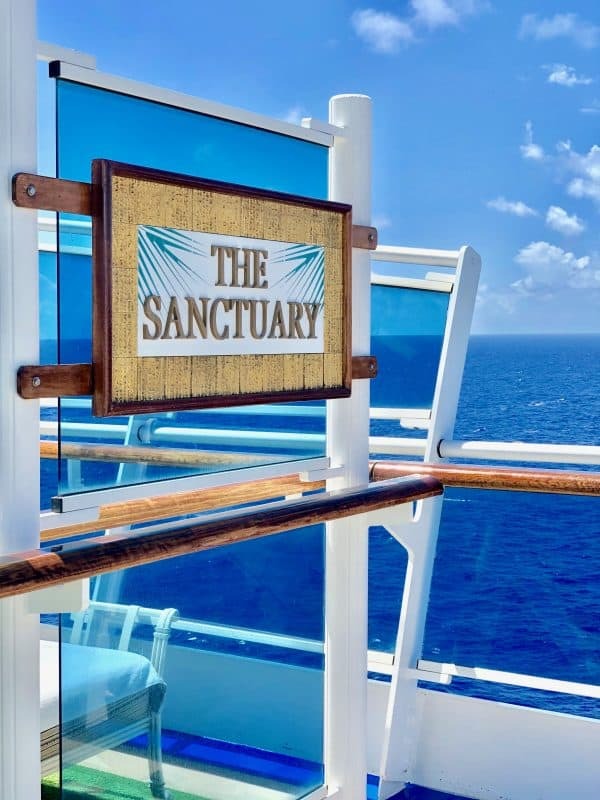 Or even better, head to The Sanctuary. The OceanCompass app can help you find all of those and much more. It doesn’t just find locations for you, it gives you directions from your current location. Pretty slick! 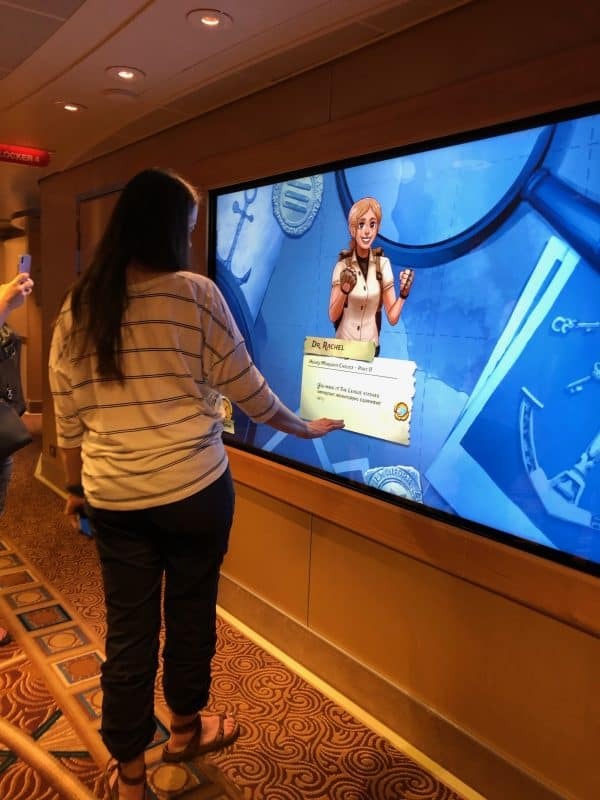 Not only does OceanCompass provide you with a very comprehensive way to find your way around the ship, it lets you find your shipmates! You can add your shipmates to the app, and then OceanCompass will allow you to find them on the ship. And it won’t just let you find them, it also has a chat client that you can use to chat with them! So you’ve checked in, dropped your bags off in your room, and thanks to OceanCompass, you’ve found your way to the pool. After all that you might be ready for a snack and a drink. Now is the time to open up the OceanNow app. This might be my FAVORITE app. Let me share why. 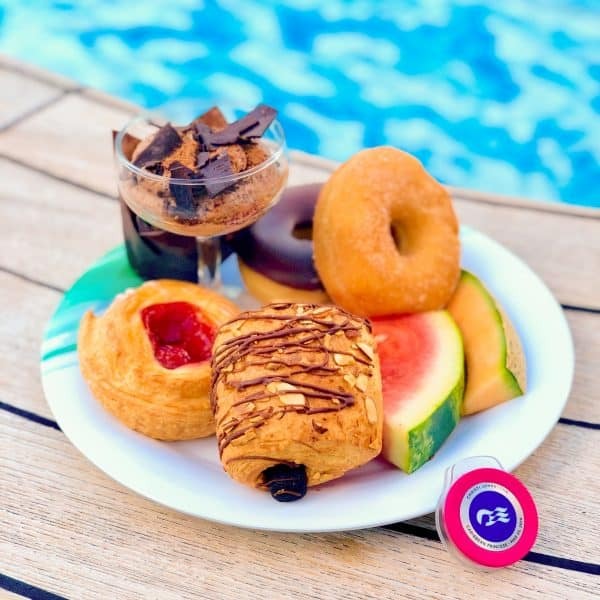 Open up OceanNow on your smart phone or tablet, order food and/or drinks, and then sit back and relax. 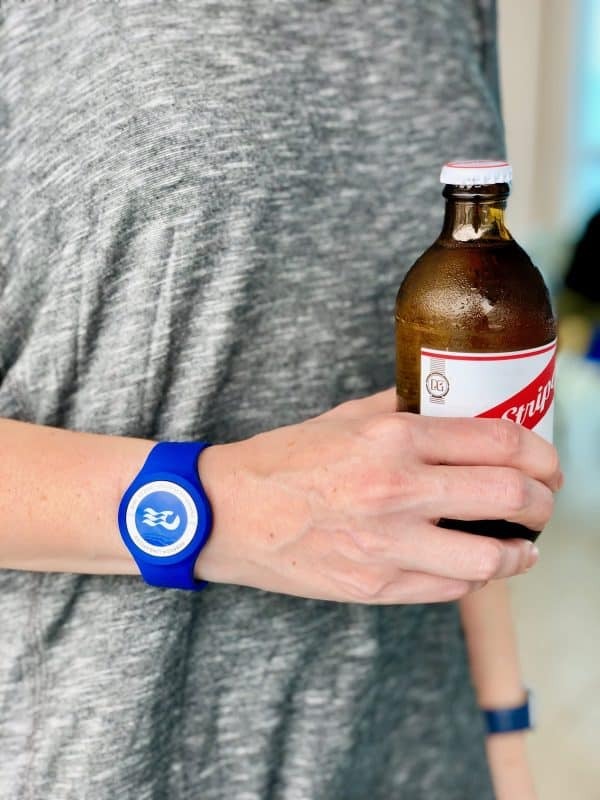 Your OceanMedallion allows crew members to find you on ship and deliver your order to you. Let me break that down. I open an app, then click on a drink or a slice of pizza. Then a crew member finds me and gives me those items. THIS IS LIVING YOUR BEST LIFE. And it’s not just food and drinks. Want more pillows? Click! Need an ice bucket refill? Click, click! Spend a little too much time in the sun and need some aloe vera gel? CLICK! You can see my app in action as I ordered some sparkling water. My shipmate Rebecca of Foodie With Family had been at the spa, and I knew she’d probably like some sparkling water when she returned. This is a screen capture of me placing my order. I was curious to know where Rebecca was at, so I used OceanCompass works to find her. Spoiler, she was almost at our room. And you can see how my order gets delivered to my room – it was maybe 5-10 minutes time! So cool! I even ordered a stuffed Stanley bear for my daughter through OceanNow. Less than ten minutes later a lovely crew member delivered it to my room. There is one downside to OceanNow. When you get home and are in your house, it no longer works. Trust me, I’ve tried. 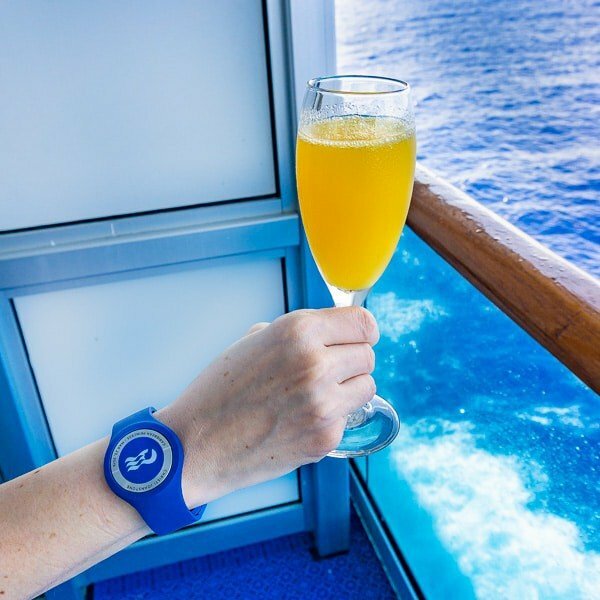 I was very, very spoiled using the OceanNow app on my cruise! Cheers, indeed! 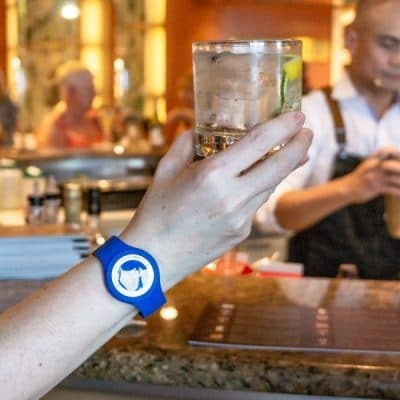 So not only can you order yourself a drink with your OceanMedallion and the accompanying OceanNow app, you can pay for it with your OceanMedallion. 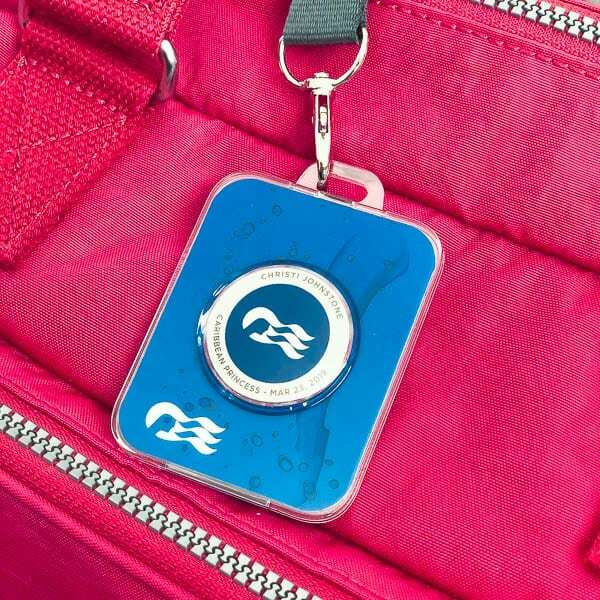 OceanMedallion not only acts as your room key, you can use it to quickly and easily add charges to your account. I have to say, I loved being able to leave my room without bringing my wallet with me. We’re not done with the fun yet! There is another fun app I can’t leave out – PlayOcean. PlayOcean provides you with access to a number of fun game on ship. 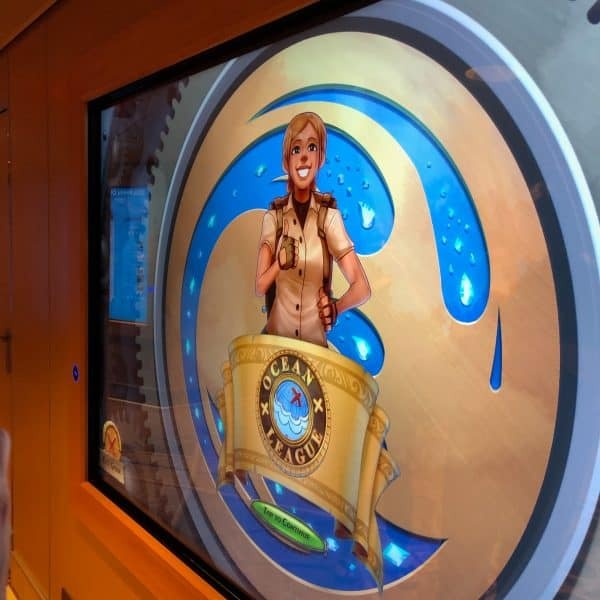 Throughout the ship you will find large portals that tie in with OceanMedallion. Different portals have different uses, some tie into OceanCompass helping you find your way around the ship. Others keep you up to date with activities and destinations. And then there are the games and PlayOcean! We had a great time playing the ship-wide, location-based scavenger hunt using the portals. As adults we totally got into the game, and I know my kids would get quite competitive about it! There are also interactive games on giant poolside screens. Using PlayOcean you can grab a seat on deck and join the game. And if you like to multi-task you can do what I did. Use OceanNow to order yourself a drink or snack while you enjoy PlayOcean. Oh how I LOVE technology! While you’ll find family friendly games in PlayOcean, those who enjoy higher stakes games will want to download OceanCasino. 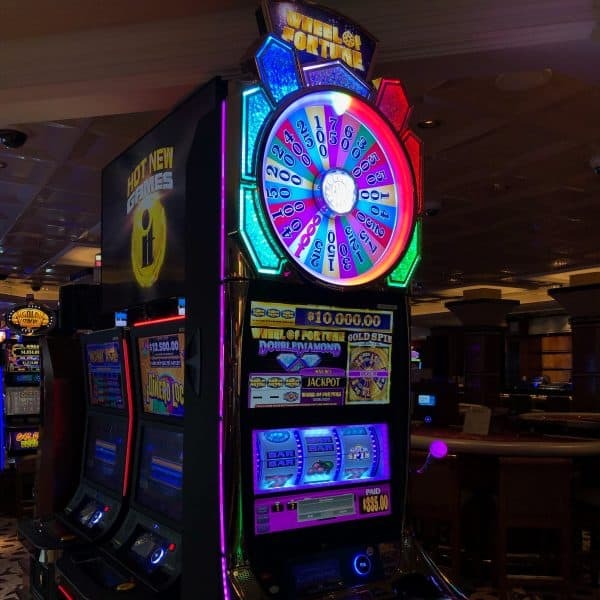 OceanCasino includes Roulette on Deck, Tipsy Tentacles Slots, Queens Sea Poker and Bingo on Deck. 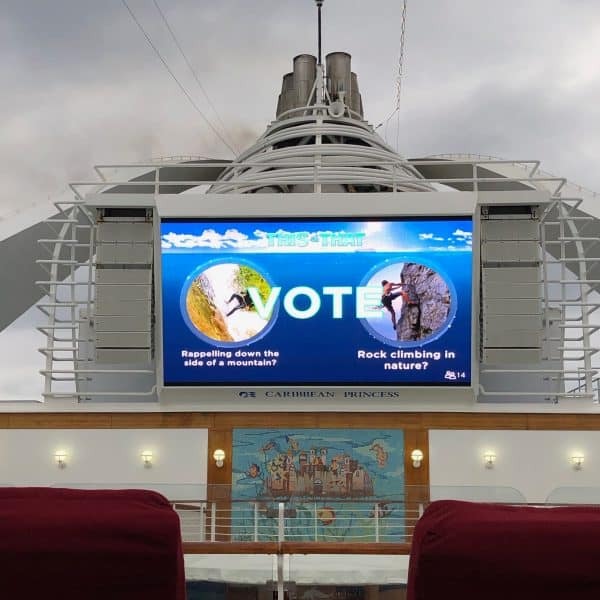 You can wager on on portals around the ship, or take the casino wherever you please with OceanCasino. Of course you can still hit the actual slots on the ship as well. While the view off of your balcony or any deck is stunning, with OceanView you get to enjoy even more incredible views. 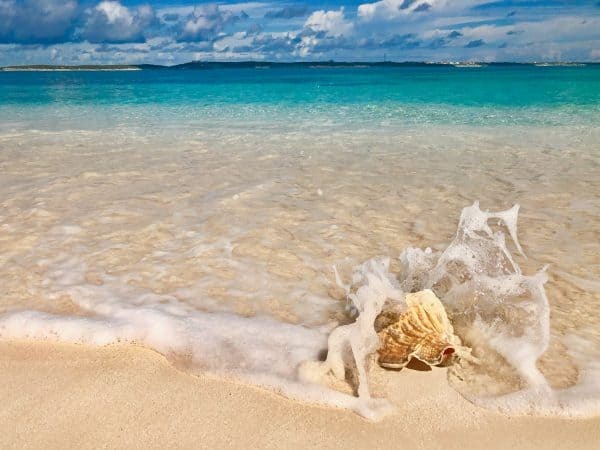 OceanView features free immersive travel content. Good Spirits was probably our favorite show, especially since it tied in with the Good Spirits lounge on board. 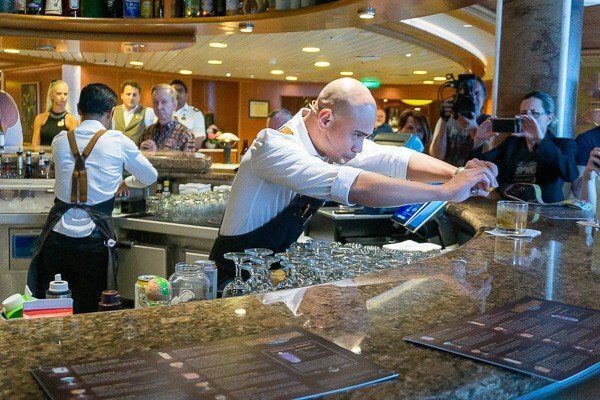 Good Spirits refers to both the show and the lounge where drinks seen on the program are served on ship. Let me tell you, the Good Spirits bar is a show itself! 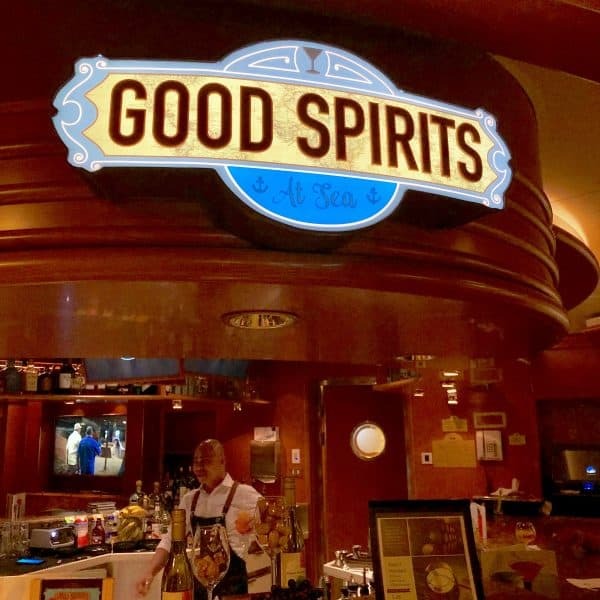 Good Spirts is a place where every drink is an experience and every drink tells a story. Our mixologist was an incredibly entertaining story teller! 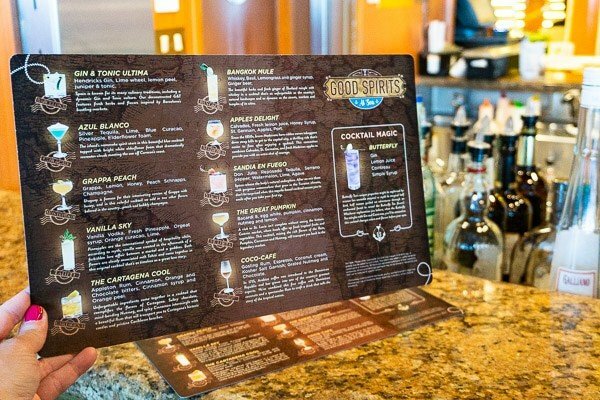 The menu in Good Spirits is related to the locations on your cruise. The drinks are all inspired by the flavors of the region. Our mixologist not only served up delicious drinks, but a lot of great information about local cultures and ingredients. Here he is making the Azul Blanco. Most of our evenings included a visits to Good Spirits! Everyone in our party had their favorites on the menu. Mine was the Vanilla Sky. One of the ship favorites was a Watermelon Margarita called The Sandia En Fuego; Watermelon On Fire. 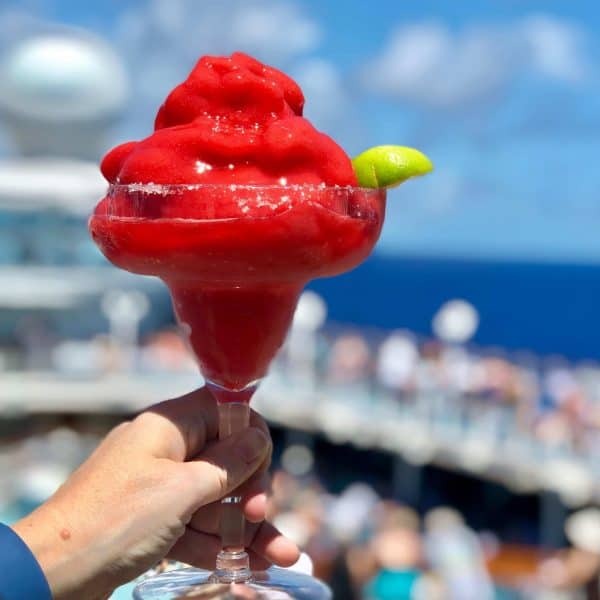 My shipmate Rebecca brought the recipe home for you to try, so head over to Foodie With Family for this delicious Watermelon Margarita. 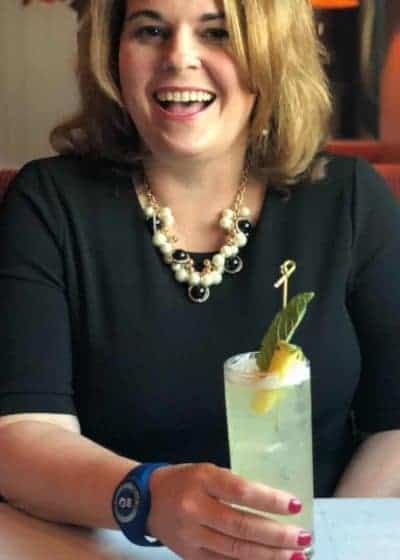 If a mojito is more your speed, make sure to check out Haley’s Authentic Puerto Rican Mojito over on Domestic Rebel. One of the BEST things about the MedallionClass experience was MedallionNet. 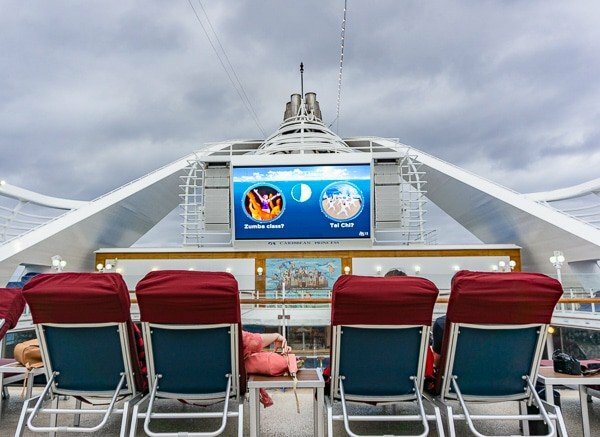 The best Wifi at sea. It was as good, if not better, than my high speed internet at home. In the middle of the ocean. It was incredible! Given the length of this post, I should probably wrap it up! 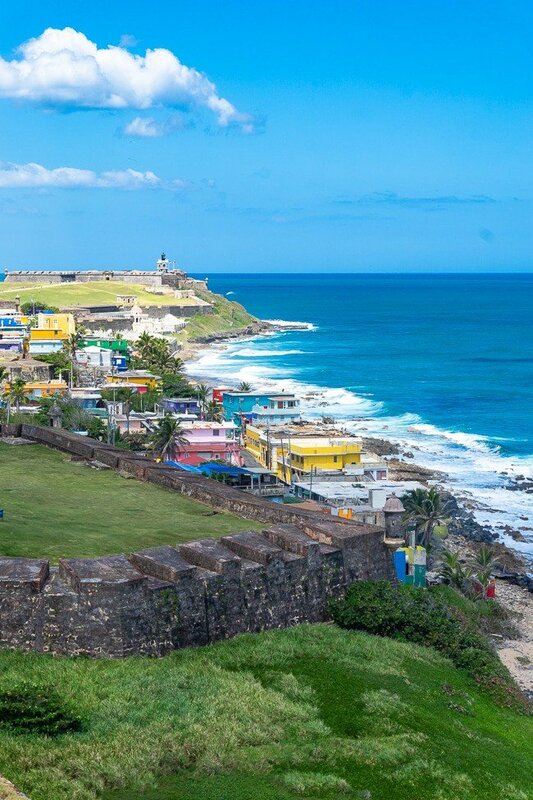 Stay tuned for separate posts about my Caribbean cruise ports, how I put MedallionNet to the test and a few Caribbean cruise inspired recipes. My travel companions already have some great recipes from the trip to share! Check out my friend Mary’s Jalapeño Honey Butter and Courtney’s Easy Mofongo recipe. I can’t wait to tell you more about my Caribbean cruise, and share some cruise inspired recipes with you over the coming weeks. 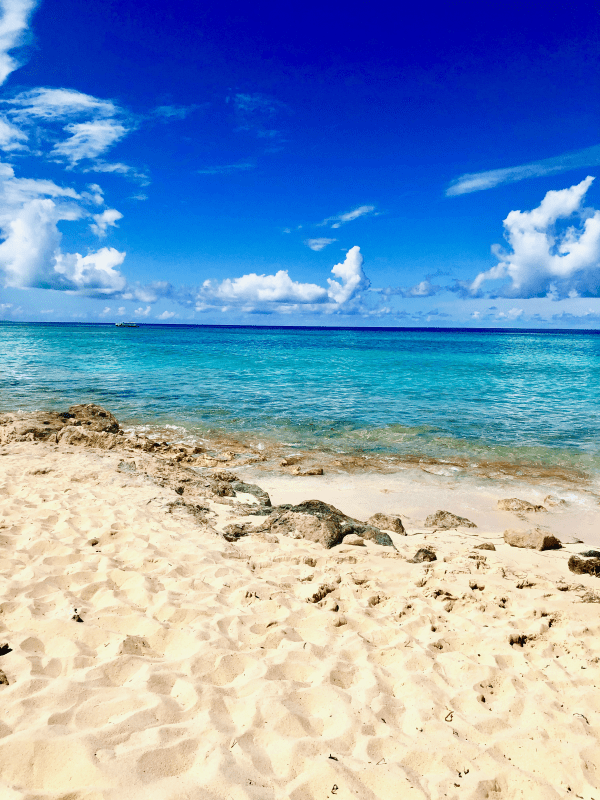 For now I’ll leave you with a tranquil photo from the beaches of Grand Turk. That water was absolutely magical. As was my Princess Cruise. 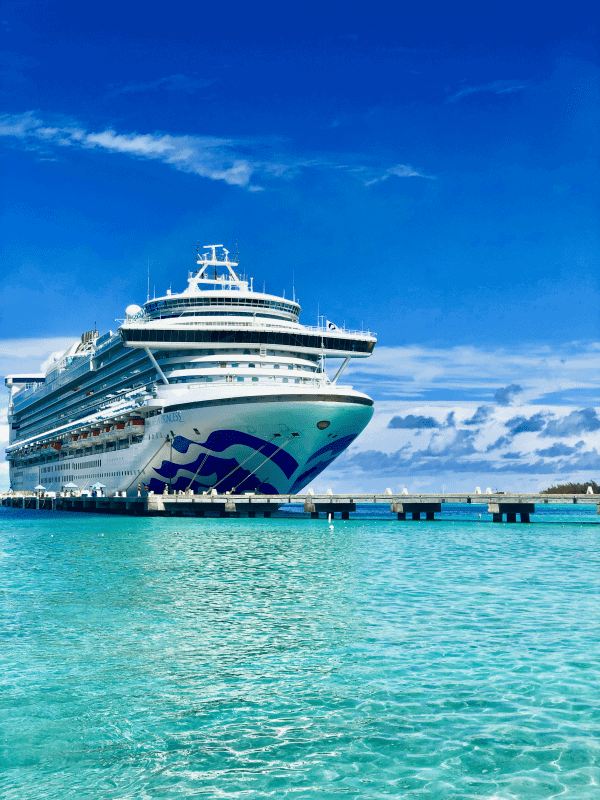 Disclosure: Princess Cruises kindly provided my cruise at no charge, and sponsored this post. That said, all opinions however are mine and mine alone. Ohmygosh this was the Best. Girls’. Week. Ever!! 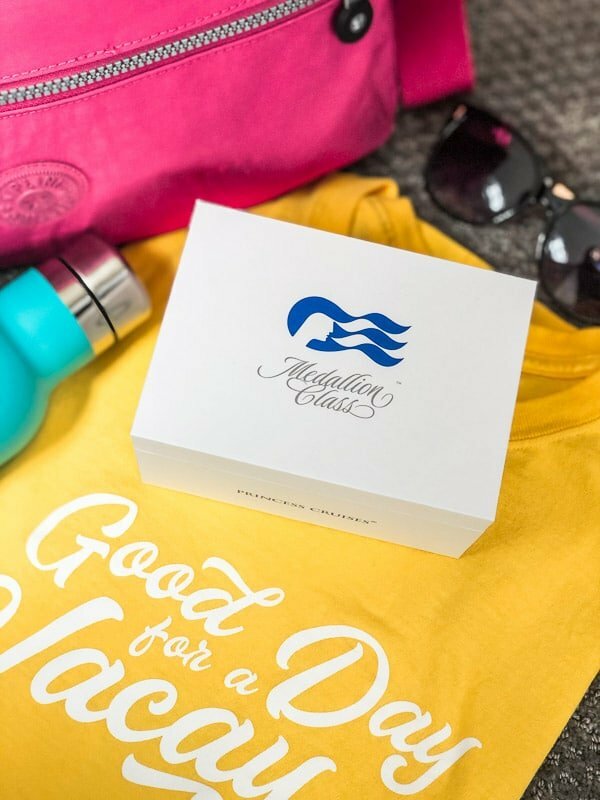 The Ocean Medallion made our lives so much easier on board! I’ll second that, Rebecca! This really was the most amazing girl’s week imaginable. I’m so grateful I was able to spend it with both of you. I’m convinced that Ocean Medallion is the only way to go! What a great trip!